Create brows that wow! Frame your eyes with Mark. Perfect Brow Sculpting Pencil that shapes, colours, and defines your brows to perfection in half the time! HOW-TO: 1. Define and shape with the unique slanted tip. 2. Fill in sparse areas with the wide slanted base. Frame your eyes with Mark. 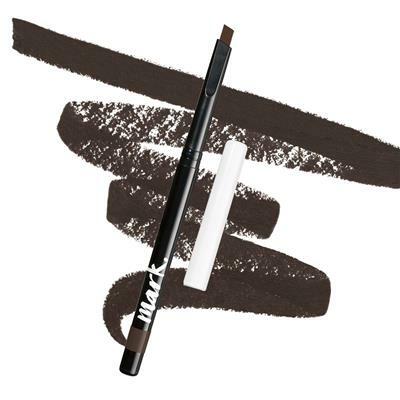 Perfect Brow Sculpting Pencil that shapes, colours, and defines your brows to perfection in half the time! 1. Define and shape with the unique slanted tip. 2. Fill in sparse areas with the wide slanted base.